The bike manufacturer YT finally shares its secret and presents its first Downhill World Cup racing team named "The YT Mob". 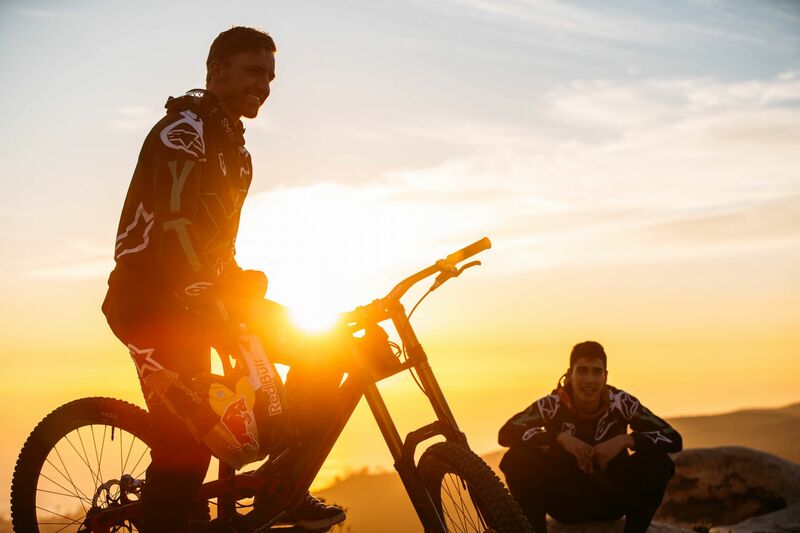 None other than American Aaron Gwin along with Spanish Youngster Angel Suarez will stir up the downhill world. The team will be operated by 23 Degrees Sports with Martin Whiteley as Team Director. Exactly one week ago the terrible news about the death of YT team rider Kelly McGarry made headlines all around the globe. The team at YT is still speechless about the sudden loss of this extraordinary character. 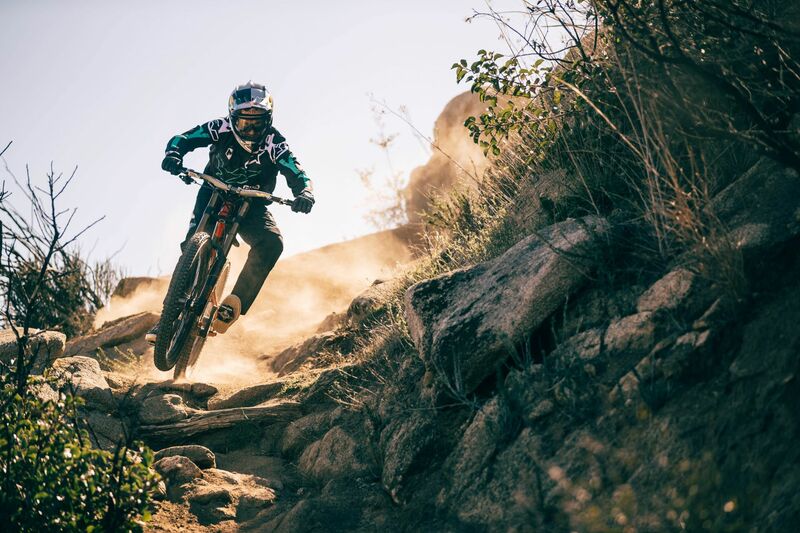 Unsure about the right moment to release the breaking news about Aaron Gwin and the downhill team, YT has now decided to make it official: Aaron Gwin goes Forchheim! After an extensive search, the 28-year-old downhill superstar has decided to join the German bike manufacturer. Aaron Gwin's team mate is the 20-year-old Angel Suarez from Vigo, comes from a very successful motocross background and in his first World Cup season showcased his immense potential with a top 20 ranking at the race in Lenzerheide in 2015. With the Mob, YT joins the World Cup circus for the first time in its history. Finally, the long-awaited wish to send the TUES onto the world's toughest tracks to prove that the downhill machine is not just a top-notch freeride beast, but also a proper racing tool is now coming true. 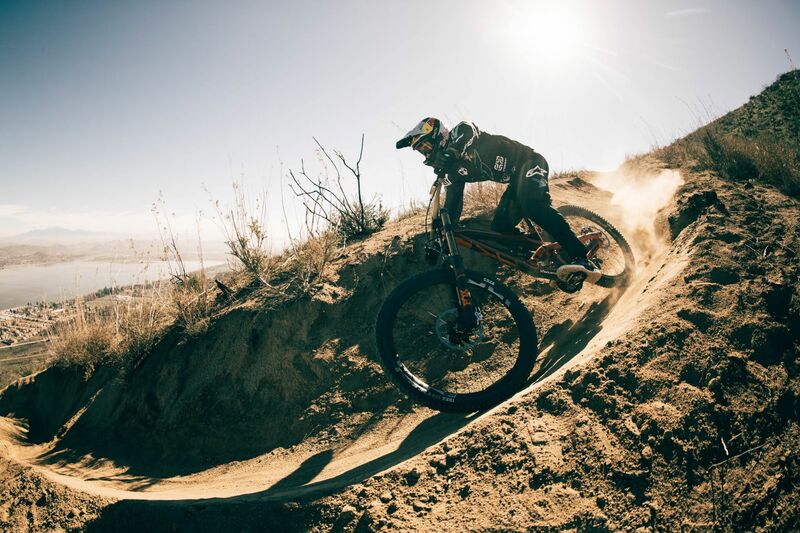 With his distinctive racing focus and his untamed will to win, Aaron Gwin adds a new component to the YT family. It was particularly important for Gwin that his new bike sponsor shares the same passion and dedication for downhill as he does. With YT he has a like-minded crew on his side, that is completely committed to the gravity aspect of mountain biking. The set-up of the bikes out of Forchheim could not be any better: The TUES' kinematic concept and its geometry convinced the multiple World Cup winner already after the first ride. There will be no changes made to the frame itself - Gwin will therefore ride all World Cup races with a stock TUES frame. However, has YT changed its mind setting from their Good Times mentality to now only heavily focus on nothing but rankings and podiums? "No way", says CEO Markus Flossmann. "Good Times is also the motto of our YT Mob. We are going to offer our riders the best bikes and conditions, so they can focus on doing their thing. The fun of racing will always come first, because eventually the rider who can stay relaxed and calm during the heat and stress during races will take the win. We are beyond thrilled to have Aaron and Angel joining us." "The unbelievable hype that has been going on over the last few weeks and the feedback of the fans were incredible, but I am really happy to finally announce the news. We are a great match because the guys at YT share the same passion for mountain biking as I do. I am sure we will have a great time together. The TUES is perfect and I am really happy to officially ride it from now on." In addition to YT as title sponsor, The YT Mob have the following co-sponsors: e*thirteen, Onza Tires, TRP, Renthal, Motorex, SDG, ODI, Cane Creek and Alpinestars. In 2008, CEO Markus Flossmann founded YT with the aim to build competition-ready, affordable dirt jump and slopestyle mountain bikes for talented young riders. After only eight years, the product range includes high-end downhill and enduro bikes, which are awarded with renowned prices on a regular basis. The secret of success: high quality products, fair prices, the direct selling method which eliminates the profit margins of middlemen, an unmatched reputation and last but not least world-class team riders like Cam Zink, Andreu Lacondeguy and Aaron Gwin, who have joined the YT family.